Arcade games with LED lights have been the real trend lately. We have a new game that will simply amaze your guests. 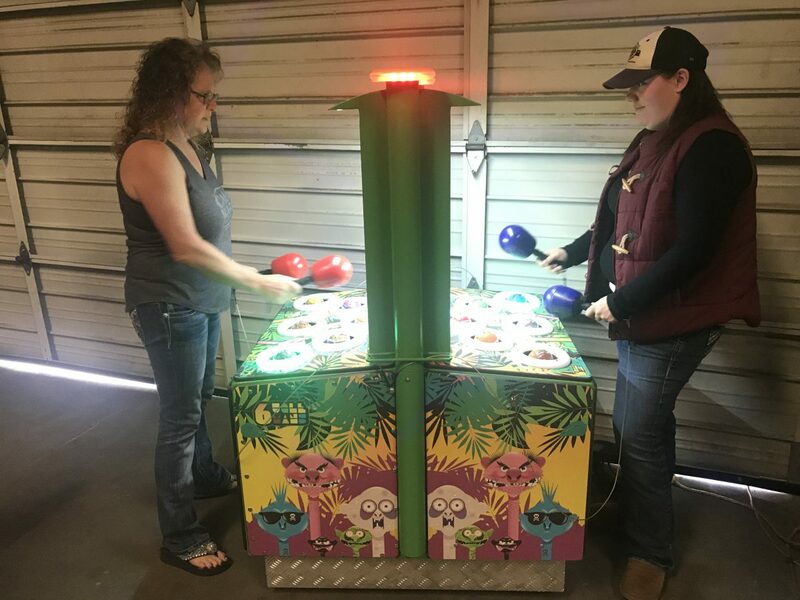 We are now offering a 2 player Whac A Monster Arcade Game Rental. 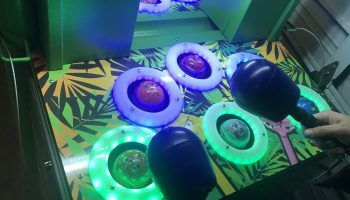 If you have ever experienced the arcade game Whac A Mole you will definitely want to try this new one out. 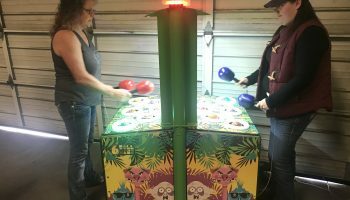 Whac A Monster Arcade Game Rental is a custom made 2 player head to head competition game. 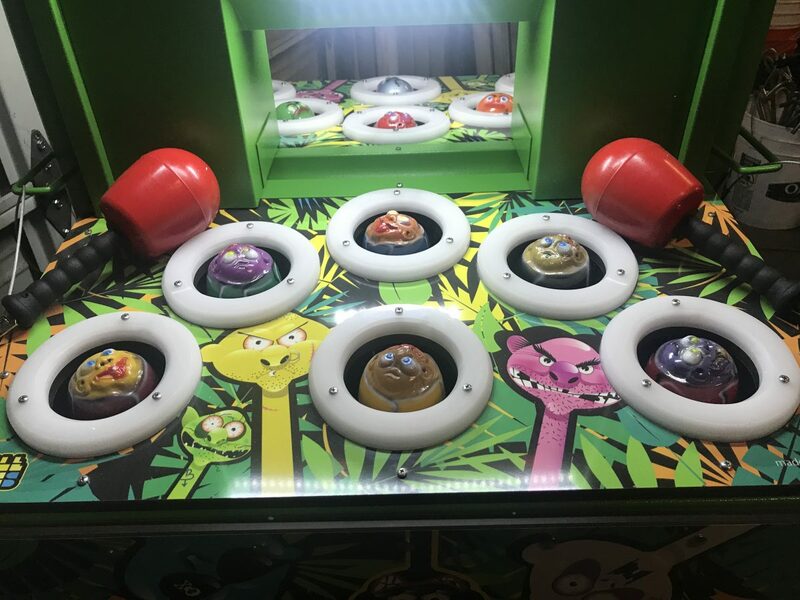 Each player has either one or two mallets to try to smash the monsters that pop up randomly throughout the game. When the monsters heads pop up a led light will light up to notify you to use your mallet to smack it back down. 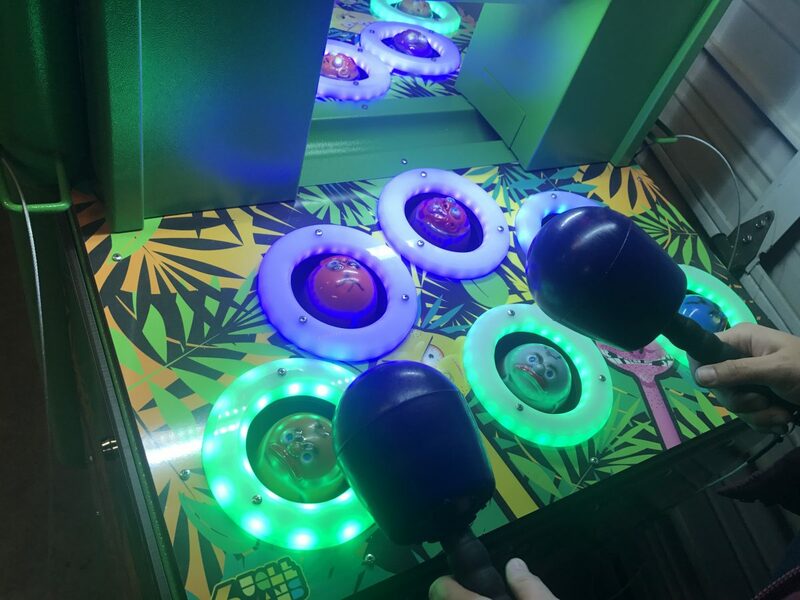 When you rent the Whac A Monster Arcade Game Rental you will get delivered a high energy 2 player game. Each match or game last one minute so if you would like us to help offer a tournament for your event we can also help assist with that. 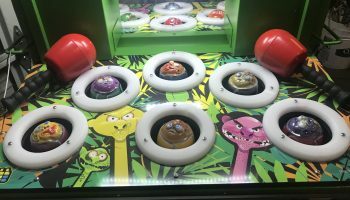 Also included in the Whac A Monster Arcade Game Rental is some amazing sounds and attract music from the game enticing you to play it. 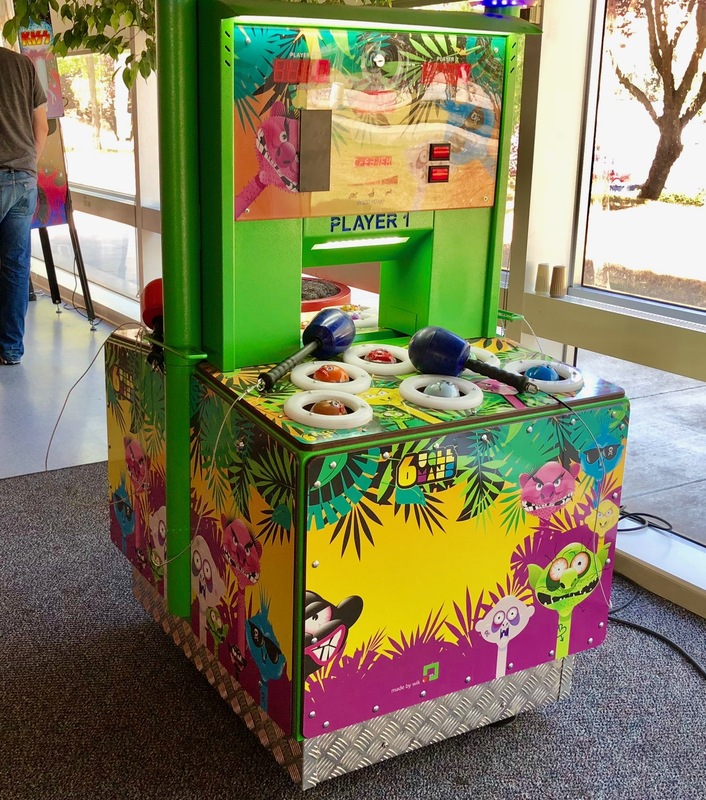 Once you have played the Whac A Monster Arcade Game Rental your guests will be hooked to keep playing. This game is highly addictive. We rent all our arcade game rentals in Northern California San Francisco Bay Area cities. 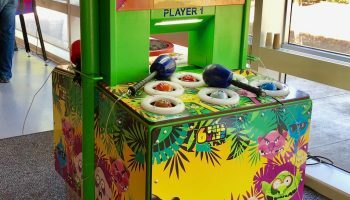 Please let us know if you would like to give you a quote to turn your event or office party into a arcade theme event. We can also rent all our games out on a monthly rate so your staff and employees can enjoy them in your break room. Feel free to call us at 1-888-630-3866 to discuss your next arcade game rental.